In this article, we explain how to connect Orioly with your social media accounts. Log in to your Orioly account. 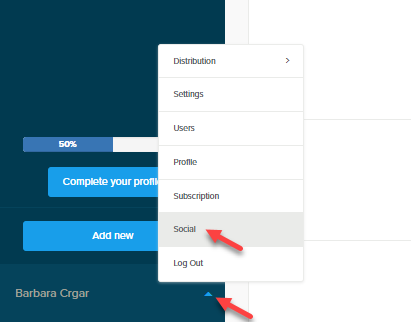 To connect your Facebook and Twitter accounts with Orioly, click the sidebar next to your account name and navigate to Social. 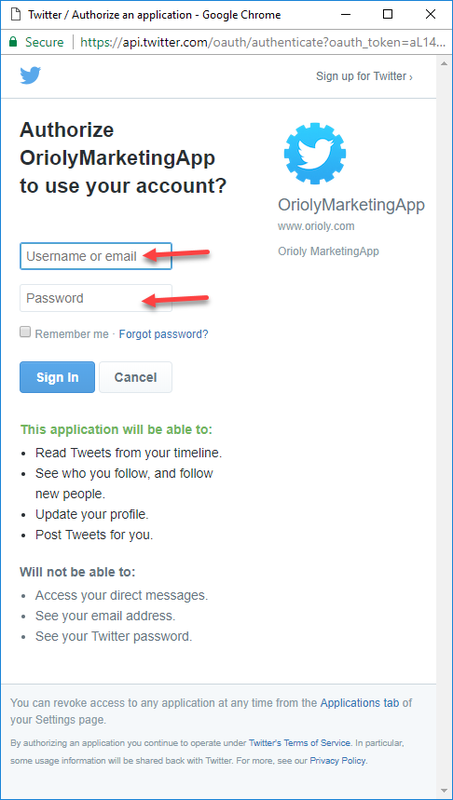 Then choose whether you’d like to connect your Facebook or Twitter account with the Orioly app. Log in with your social media credentials and click Sign in. The account you just added will show up under the Current social account heading. Click Edit account to open account details or delete it. If you choose Delete account, it will be removed only if there hadn’t been any posts published on it yet. Otherwise, it will be deactivated. You can reactivate it anytime.